The Lawn Lite is designed for installation into a lawn or garden bed and can be mowed over without any fear of damage. 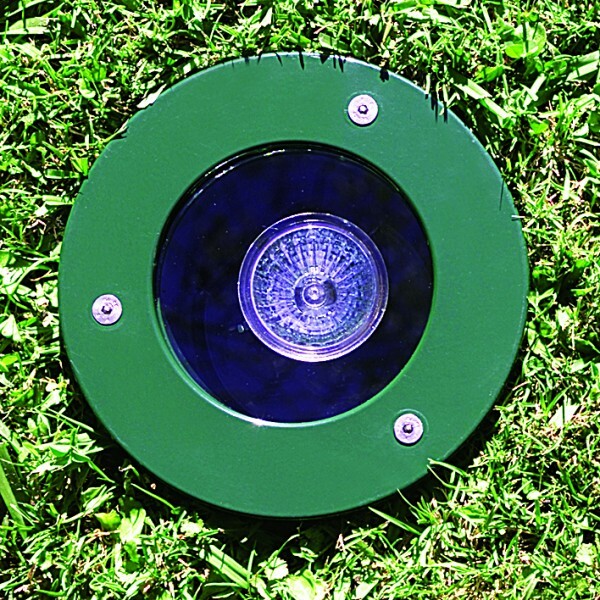 An essential product for any garden lighting project. The Lawn Lite has a ‘Flush Fit’ lens which stops water pooling and depositing dirt on the lens. It is solidly constructed from cast aluminium with either a UV stable powder coated finish (standard colours bronze, green, matt black and silver) or with a solid bronze or 316 stainless steel flange and powder coated black body. It has a 10mm thick ‘Flush Fit’ tempered glass lens and a silicon gasket.